Huawei’s Y7 Prime 2018 is going to land with a 5.99-inch screen which is furnished with IPS mold and resolution of the gadget ha support of the Full HD Plus with 1440 x 720 pixels. 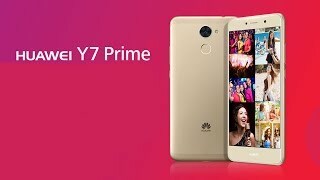 Y7 Prime 2018 by Huawei has Qualcomm Snapdragon 430 chipset and on top of it, an octa-core processor is fixed to do the processing of the device. 3GB of RAM is driving Huawei Prime 2018 so fast that it can easily beat all of its competitors without any kind of trouble. Internal storage is 32 GB backed up the SD card support which has the ability to expand Huawei Y7’s Prime 2018 storage to 256 GB. Android Oreo is in charge which is decorated with EMUI 8.0 to make it look stunning not from outside but from the inside too of Huawei Y7 Prime 2018.